Of course, politicians referred to it in declarations and, in a totally demagogic gesture, Jean-Claude Juncker, president of the European Community and an old political fox with a lot of mileage, even kissed the hand of Greta Thunberg. 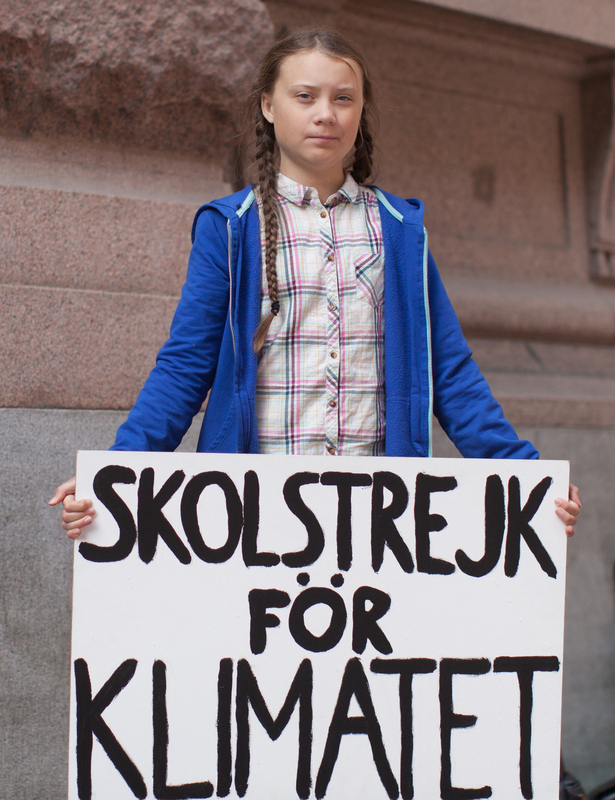 She is the 16-year-old Swedish girl who, frustrated with the pace of government action to deal with climate change, launched a “school strike for climate” last year, setting off an international youth movement and widespread demonstrations in an unprecedented initiative on climate change. We are fortunate the Asperger syndrome Greta has brings little tolerance for dishonesty and greater determination than average, so is totally improbable she will be co-opted by flattery and recognition. It should be recalled that in its 2017 budget, the Italian government earmarked $20 billion to save four Italian banks and just $2 billion for subsidies and support to young people. School principals from Germany to Italy declared that the duty of students is to study, not take part in demonstrations, and – as usual – a conspiracy theory circulated that because climate change is too complex an issue for young people to understand, Greta was clearly a puppet in the hands of adults. Newspapers dwelt on the relations between Greta Thunberg’s family and climate change campaigners to show that she had been used. Maybe so, but it is now too late to discredit her. She acted on her initiative, on goals that were hers, and the hundreds of thousands of students around the world were not copying her … she has touched a chord that was already there. The fact is that when masses of students from all over the world mobilize around a utopia (a concept which has totally disappeared in the political world), adults become uncomfortable. It measures the distance between what we are now and what we were when young; the world was more idealistic then than now, and we all had some hope and engagement. That distance is quite large … many of us have betrayed those ideals or put them to sleep. The way out is skepticism and paternalism. We know the reality, we know what dreams are, and young people should listen to our experiences. 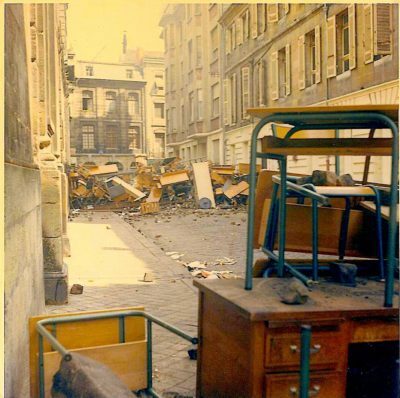 In May 1968, during the student riots in France, Tristan Tzara, the father of Dadaism, shouted to the marching students from his balcony: ”Criez, criez, vous serez tous des notaires” (Yell, shout, you will all be notaries). And for those of us who have not betrayed ideals and commitments, there is the sad realization that we are a failed generation, a generation that was unable to implement its vision of a better society. The difference is that when we were young, the most existential threat was the atomic bomb, and we took part in many marches. Today, that threat is not only coming back to haunt us with abolition of the Intermediate-Range Nuclear Forces Treaty (INF), but there is a new existential threat: climate change. What is very impressive is that many students speak of how they are changing their lifestyle: from not using plastic bottles, to reducing meat consumption and using less water when they brush their teeth. This change of lifestyle goes far beyond climate change, it goes to the heart of our consumption society and its values, a society in which advertising budgets are greater than those for education. The heavy users of the Internet, the first willing victims of commercialization of the Net, are starting to doubt the use by Google, Twitter, and other platforms of people as consumers and not as citizens is a significant fact. They are now ignoring advertising. Automakers are very sad the car is no longer a status symbol among young peoplr. Nike, jeans, and smartphones are today’s status symbols and their impact on climate is much smaller. Extremely interesting are the reflections of a high-level staff member of the World Economic Forum in Davos: “We view with great sympathy the mobilization of civil society … thanks to them, several gaps in the field of medical assistance, museum and art care, and many social problems, are being taken care of … this has a dual positive effect: it reduces social tensions, and it keeps volunteers busy, and out of political engagement.” In other words, civil-society activists are seen as hamsters: running all the time, and going nowhere. The time has perhaps come for our generation to make three considerations. The first is that we would do well to remember that until the crisis of 2008, with the exception of Le Pen in France, populist, xenophobic and nationalist parties were marginal. Now they are everywhere, except for Portugal, and they are frequently in power, as in Italy, Austria, Poland and Hungary, or in the government coalitions of several countries, including the Nordic countries. Nobody at that time could have thought of rabid nationalists like the U.S. Donald Trump, Brazil’s Jair Bolsonaro, Colombia’s Iván Duque Márquez, India’s Narendra Modi, the Philippine’s Rodrigo Duterte, Japan’s Shinz? Abe or China’s Xi Jinpeng would be at the helms of these countries. Nor could anyone have seen how the multilateral system, based on the idea of peace and cooperation, would be disintegrating. Now we know what capitalism and finance mean when they are unchecked. We now have a financial system that is 40 times more powerful that the world of industry and services, and without any control. 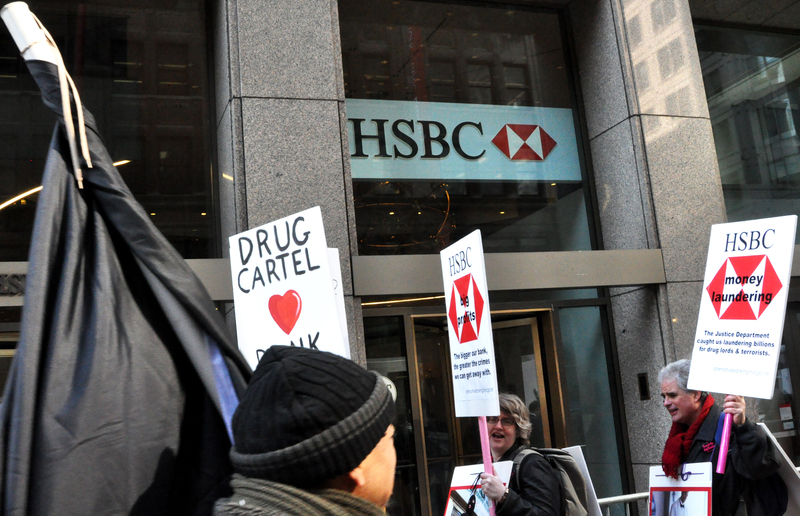 Since 2008, banks have been fined over $800 billion for illegal practices. Nobody foresaw a world where 40 people would possess the same wealth as 2.3 billion people, a world where in just one minute the family owner of the Walmart supermarket chain makes the equivalent of the yearly salary of its employees. Over the last decade, fiscal paradises have hidden at least $30 trillion from the fiscal system: six times the budget of the U.S. government. Countries are now unable to act globally, while finance does so daily, unfettered. The last decade has seen a steady deterioration of democracy, of social justice, of concern to secure a future for the young and halt the existential threat to the planet, to humans, animals and plants. There have been only two new changes. One is the arrival of women on the political scene, with millions mobilizing against injustice and patriarchalism. Has that enormous mobilization brought about any change in legislations and budgets? Hardly. On the contrary, the prestige of dinosaurs like Russia’s Vladimir Putin, Trump, Hungary’s Viktor Orbán, Italy’s Matteo Salvini, Le Pen and company has been reinforced; they are the defenders of the values of the Western civilization, against dissolution of the family and the advancement of woman (associated in the same breath with lesbians, gays and transgenders in a revealing logic). The second is the arrival of young people who are mobilizing … so far, the extreme right has made no comment. Yet, touching on climate change, alternative energies and lifestyle is bound to create opposition soon or later. A strange destiny that of the extreme right; it is now against peace, development and social justice as central values. In a short space of time it will be against women, and now it will be against young people. The second consideration is this campaign by young people. Its main value is that it has put the political system in front of its responsibilities. “We have no time,” and it is true. We are all mesmerized by the Paris Agreement on climate change, with the participation of all countries of the world. However, it is important to see how the treaty was conceived. To make a tent large enough to accommodate everybody, the rules are: every country will decide what targets it will adopt; and every country is responsible for checking implementation of its engagement. What would happen if we did that with taxes? Citizens would decide how many taxes they would pay, and all would be responsible for seeing they comply. Well, on the basis of the engagements taken until today, global temperature will increase by 3.5 degrees C compared with 1840. Scientists have always insisted that a reasonable limit is 1.5 degrees C, after which they speak of irreversible changes. Paris adopted the goal of 2 degrees Centigrade to make things easier. Then Trump left the Agreement, explaining climate change is a Chinese hoax to block American development. He cancelled all legislation on climate control created before him, to the point he is now opening all national parks to fossil fuel extraction. Of course, this pleases people like the Koch brothers who own almost all the coal mines; the petrochemical companies; the workers displaced by the fight against climate change, like miners. And it pleases the large numbers of Americans who see China as the main threat, and believe America is a victim of international exploitation, especially by its allies (Canada, Europe, Japan), Trump’s withdrawal gave an alibi to countries like Poland (coal) and Saudi Arabia (oil) and others for ducking the issue. So governments now say that in 2020, when the first conference on implementation will be held, they will assess the situation. But the students are here to remind us that, according the vast majority of scientists, unless we change the present trend, by 2030 we will be over the famous threshold, of 1.5 degrees C, and they are calling for an unprecedented effort. Climate change is now is considered a “left-wing” issue and times are not really the best. In other words, there are many chances that we will reach 2020 and we will still be debating. The very important Laudatio Si encyclical from Pope Francis, who links climate to social justice, migration, technological progress, and so in a holistic approach, has been largely ignored. Young people are asking us to act now. As Greta said at Davos: when we arrive in society, the damage will already have been done. This is an intergenerational call, and it is very important and powerful. “Parents, if you say you love us, why you do not take care of our future?” Should young people take a lesson from the violence of the Yellow Vests in France to be heard, instead of peaceful marches? Now to the third consideration. The climate movement comes after several others grassroots movements. The most traumatic was the protest against the World Trade Organization in Chicago in 1999, when thousands protested against unchecked capitalism imposed by the Washington Consensus (a holistic neoliberal view of international and national relations, based on extreme reduction of the role of the state and unfettered capitalism). This Consensus, subscribed to by the World Bank, the International Monetary Fund and the U.S. Treasury, changed the trend from cooperation to competition and success. Social costs were unproductive, only trade and finance were the tools for the world. Margaret Thatcher famously said: there is no society, only individuals. Then, in 2001, in Porto Alegre, the World Social Forum was created, a meeting place for sharing practices and views as an alternative to Davos, and started a process of conferences with several hundreds of thousands of people from all over the world. This process continues today, albeit with a major loss of steam. 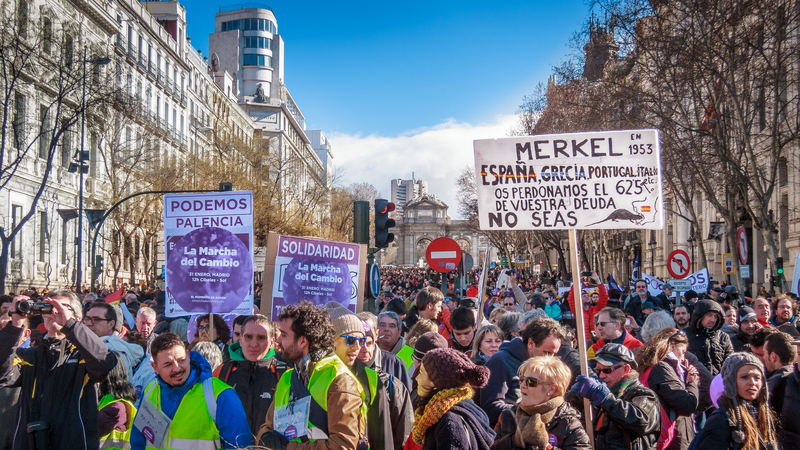 Ten years later, in 2011, the Movement of the Indignados started in Madrid, asking for change to the democratic and financial system, and spread to 68 towns of Spain, lasting until 2015. Anti-system parties came out in 2013, and stood at the European elections of 2014. Podemos gathered 1,253,837 votes and won four seats. The others did not make it: Partido X received 105.561 votes, the Movement of Citizens Democratic Renewal 105,688 and Recortes Zero 30,827. Had they stood together, they would have won seven seats. But a proverb says that the left unites only in front of a firing squad. But many other citizens’ movement took to the streets. In 2011, there was Occupy Wall Street against greed, corruption, social inequality and the power of finance and corporations over political institutions, joined by several hundreds of thousands of people. Some see the Arab Spring, and the massive protests of Algiers as part of the same revolt. But it is instructive to see how the political system read those events. They were classified as anarchist movements. Horizontalism (they elected no leader), autonomy from existing institutions and defiance, demonizing the rich and introducing class warfare, were considered anarchists who rejected the political system. The content of the demonstrations was obscured by how they structured themselves. It is a fact that by acting without the rules of organization that political parties apply has been a huge handicap. Podemos, the only survivor of the Indignados wave, like the 5 Star Movement in Italy, structured itself as a political party. Like it or not, laws are made in parliament, and external protests, large as they might be (just think of the women’s movement), can be perfectly ignored, no risk except for recurring elections. But the political system today is not a free one. It is conditioned by finance, corporations, trade, armaments and technological developments (many more people will be made jobless by artificial intelligence than by migrants). The political system is hardly the representation of citizens in the old sense. There are 32,000 lobbyists in the U.S. Congress, and 16,000 in the European Parliament: not really a symptom of unfettered democracy. The Koch brothers, who donate hundreds of millions of dollars to the Republican Party at each election, have a vote like anyone else? Do they compete at an equal level? Now, the student movement is asking those in power to introduce urgent changes on their behalf. Until now the system has been able to ignore requests from peoples’ movements, and let them fritter away, “Students do not vote” was the main comment from the system after the last large demonstration. Yet, the students are denouncing an existential threat, which will reach the brothers Koch, as well the unemployed (but remember, the weakest will be affected much more). If the system does not listen to the voices of young people, the gap between political institutions and citizens will increase. And history tells us voices from the street can be ignored once, twice, many times, but not for ever. Young people are those who see clearly that climate change jeopardizes their future, already affected by precarious jobs, unemployment and a difficult future in which pensions will be minimal. They see growing injustice and lack of participation. They represent a revolt based on idealism and hard facts. They are also a minority because of our changing demography. If the political system ignores this latest mass movement, it will take an unprecedented risk. What happens will be something that will shape history. If the young people are be ignored, democracy will be in great peril … killing idealism is a very great responsibility.